Over the next few months we will be working to improve your TexCom experience by updating our server hosting infrastructure. This should create a quicker user experience for you and allow us to expand our user base even more! All emails that are generated by TexCom will originate from Alert@TexCom.com. This has been the case for daily alerts and reminder alerts but will also start to take affect for any email that is sent by an individual of your organization. Within the email we will inform you of who sent it and you will still be able to simply reply to the email to contact them directly. If we send an email to you and it bounces back to us as undeliverable we will remove this email from our system. In most causes this means that the email address is no longer valid. If your email provider bounces it due to technical issues on their end you will need to contact us to reinstate the email address. This is all being done to ensure our email sending process maintains a good reputation to prevent TexCom emails from being treated as spam. If your organization’s network has restricted Internet access and they have given TexCom exclusive rights by utilizing our IP address this will need to be updated. Please contact us to obtain our new IP address. We are migrating our hosting services to Amazon Web Services. This will allow us to better handle our increasing demand, enhance our security and encryption processes and bring new services to TexCom in the future. 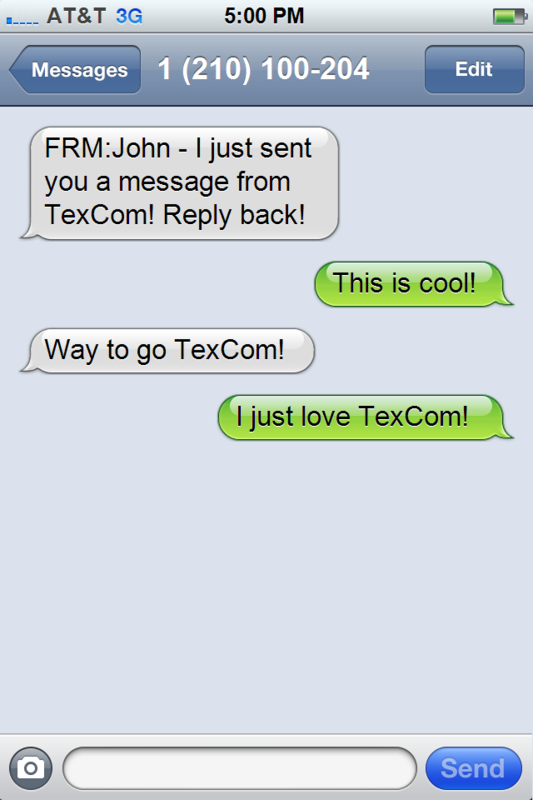 Now if you receive a text message from TexCom, you can respond and it will go to the user that sent it! In the past cell phone service providers didn’t handle text messages sent by email very well. More specifically, they didn’t know how to handle it if you responded to that message and “filed it” into the cyber garbage can. We have noticed recently that cell phone providers have set up processes to allow for this. So the TexCom team made some minor updates to how it sends messages and it now works with most cell phone providers we have tested. Please note that when you reply, it will be going directly to the user’s email or mobile device depending on what they selected when they sent it from TexCom. It will no longer be going through TexCom. The message may still arrive from a series of numbers as you can see in the example here. This is why we put the name of the person at the beginning of the text. If you continue to text back and forth your message may get categorized into another thread as it will then be coming from the original user’s email or mobile device. Enjoy! …and we assume your conversations are similar to ours! 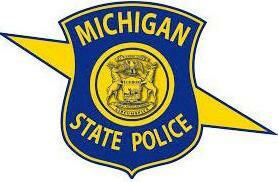 The Michigan State Police Emergency Management and Homeland Security Division has opened their Training Center TexCom to all Emergency Responders and Emergency Management personnel. This MSP TexCom is not restricted to Michigan as training information gained here may be useful in other States as well. The MSP Training Center provides training in Incident Command, Hazardous Materials Response and Mitigation, Emergency Management and many other aspects of Public Safety. This MSP TexCom will be a communication hub to provide information about classes and house training resources. Users will also be able to post questions regarding training which will allow a flow of comments and create a beneficial dialogue. Current TexCom Users may join by logging in, and at the bottom of the left column, click My Profile > Membership > Add New Organization. Enter the Access Code, 227524. Once you are approved, the MSP TexCom will show in the upper left column and a simple click will take you there. Users new to TexCom would go to www.TexCom.com and click New User Signup and use the Access Code, 227524. The Michigan Fire Training Network is a project initiated by the Michigan OSHA to develop and implement an online repository of training resources. The TexCom system fulfills this function and much more by allowing the posting of messages including questions relating to training and safety in the fire service. 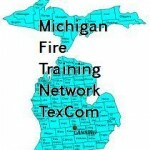 The Michigan Fire Training Network TexCom is open to all levels of fire personnel in the State of Michigan. If you are a current user of TexCom and would like to join the Training Network, login and click My Profile then Membership and Add New Organization. You are requested to enter the Fire Department that you are associated with in the large text box. The Access Code is 255613 Pass along this information to your peers in the Michigan. If they are not current Users of TexCom, they would go to www.TexCom.com and click New User Signup where they will input the access code. We at TexCom are thrilled to offer the system to enhance the training, communication, and safety in our Fire Service Family! 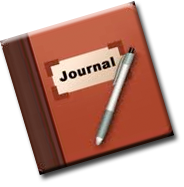 Based on overwhelming demand by our users, you can now create multiple Daily Journals for your Organization. We were blown away by the positive response we received to the Daily Journal feature we released a few months back. Since this release the number one request we have had is to allow for multiple Journals and we have now added this feature. Fire Chiefs – Have you tiered up lately? 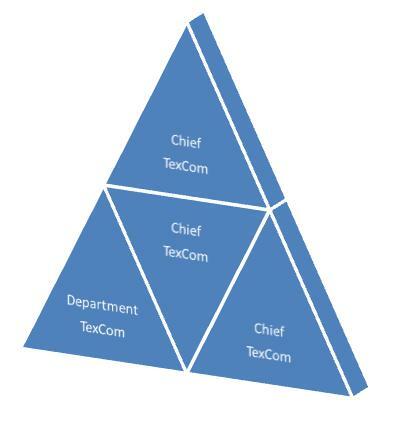 Join the hundreds of Fire Chiefs that have expanded the use of TexCom from their local department and established higher tiers of TexComs. When you belong to multiple TexComs, you only have to login once then you may view the status of the others in the left column and access them with a quick click. Sharing information between them is a quick click process as well. Don’t delay, tier up today! 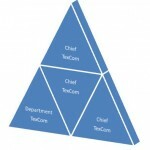 Our most active User is a Chief that belongs to 17 TexCom Organizations! Go to www.TexCom.com and click Organization Signup. 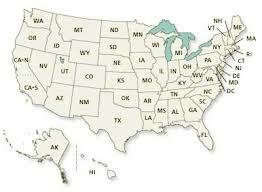 TexCom reaches emergency organizations in every State! As Fire Officers, we had no idea how much impact we would have on Fire Departments and Emergency Response Organizations! In 2012 we reached a milestone of having active organizations using TexCom in all 50 States and surged past 10,000 users! We continue to add new organizations and users every day at remarkable rates. TexCom offers a number of features to help you stay informed on TexCom activity. In this article we are going to discuss these features in detail so you can stay up to date on your Organization’s activities. These features include daily email notifications, reminder alerts for events happening soon, and a quiet time period to hold all notifications from TexCom until a specific time.